Having been through the college admissions process as a student (many many years ago) and more recently (2013) as a parent, I felt that I should write something about the role of parents. Too often, parents project their own dreams and wants onto their own child. They see the process as a referendum on their parenting skills...if their kids end up at Harvard (or any big name school), then they've done their jobs as parents. 1. Try not to nag. This is pretty obvious but it's one thing we get wrong a lot. Often, we drive our kids crazy: "Did you study for the SAT yet? ", "Have you asked your teachers for recommendations yet? ", "Have you even applied to colleges yet? ", the questions go on and on. We want our kids to get things done at OUR pace. The typical teenage pace is quite a bit slower than ours. Granted, if we leave things completely up to our kids, things won't get done until the day before applications are due. Cut them some slack: they're seniors and the stress level is already quite high, what with academics, social life, and yes, college applications (both for local and foreign schools). Gentle reminders with a smile work best and should always be couched with the words, "Is there anything I can do to help you?" And if he/she still seems unmotivated, have a heart-to-heart talk, is studying abroad really something your child wants? Or is it something that you want? My own experience with Tyler with this was mixed. The official kickoff of the college hunting season in the middle of his junior year found him somewhat indifferent. 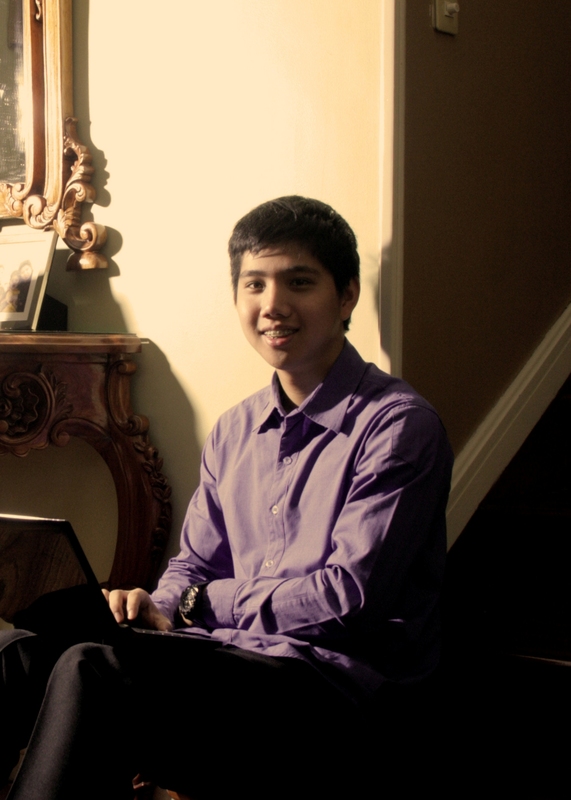 He already knew what he was going to study (math, math and more math) and he already had a favorite school in mind (University of Waterloo) but he knew he had to have alternatives and backups. I told him we would spend the summer, God and the US Embassy willing, in the US and Canada visiting college campuses. That got him somewhat excited but he hated taking the SAT (he didn't respect it, not that I blame him). He refused to study for it and underperformed badly. I didn't freak out, I calmly told him (and myself) that we'd re-assess our position on taking the SAT again after our college visits. If he liked only schools in Canada, then taking the SATs again would be pointless. 2. Let your child take the lead role. I admit it's very tempting to decide what schools your child should apply to, and perhaps even what field to go into but I must implore with all my heart that you resist this temptation. This is the first really grownup decision our child will have to make and now is not the time to smother him/her with our concern that he/she might screw it up. With Tyler, I was delighted (no, ecstatic) about his chosen field of study. It wasn't so much the subject (math) as it was the reason. I urged him...and he agreed...that he should major in something he liked, ideally, something he was passionate about and I was glad he decided to act on his passion. As far as taking the lead, I found that I took the lead in the beginning, a lead I would not relinquish until the very end of the process. I made up the itinerary for our college odyssey, I made the decisions where to stop and what schools to look at. I became the college expert, not him. He did make one important decision, he decided which colleges to apply to and which to snub. 3. Take the supportive role. Like in a movie, there are lead roles and there are supportive roles. We are the supporting cast. For me, it meant letting Tyler walk with the college tour groups and letting him ask the questions. To be honest, I found myself asking the questions on the college tour, Tyler was usually quiet or sometimes just plain uninterested. To be in the supportive role also means we pay for everything...college application fees, testing fees, etc. Resist the temptation to withhold payment for a school your child wants to apply to but you don't. Never ever use money as leverage to get your kid to do what you want, i.e. you will not pay for College X's tuition because you prefer that he attend Y University. 4. Let the final decision be theirs. This is just an extension of the last sentence in the previous section. In the final analysis, after all has been said and done, the final and fateful decision lies with a young, naive 17-year-old. That's certainly how I felt when Tyler made his decision to attend Waterloo. I was absolutely positive (still do) that Reed was the far better school and the far better fit for him. I begged, pleaded and cajoled but ultimately he went against my better (at least I think it is) judgment. Sometimes I still wonder if I should not have compelled him to go to Reed, after all, I'm more knowledgeable, have more experience and can see things beyond what he can. But ultimately, I realized that because I'm more knowledgeable and more experienced, that I should let him decide where to go and simply pray that the decision is right for him. 5. Keep your relationship positive. After all this is over, he/she is still your child and you are still his/her parent. You will continue to trudge through life together and the positive (or negative) experience that was college admissions will be with you the rest of your life. As the grown adult, we have the advantage of perspective. Use it. Look out long term on your relationship and what this process will contribute to it. A last anecdote before I close. Several years ago, when Tyler was still in middle school, I remember walking with him after a parent teacher conference day. I don't remember what we were talking about except that we were laughing and joking about something or other. While we were occupied thusly, we walked by the cafeteria and spied a girl and her parents seated at one of the tables. The girl had her eyes on the ground, not daring to look up to her disapproving father who was berating her for something or other. I commented that she must have gotten really bad grades to which Tyler replied, "That's (name of girl here)! She has better grades than me!" I wish all parents and students find joy, humor, and laughter at the end of the college search process no matter what the final outcome may be. 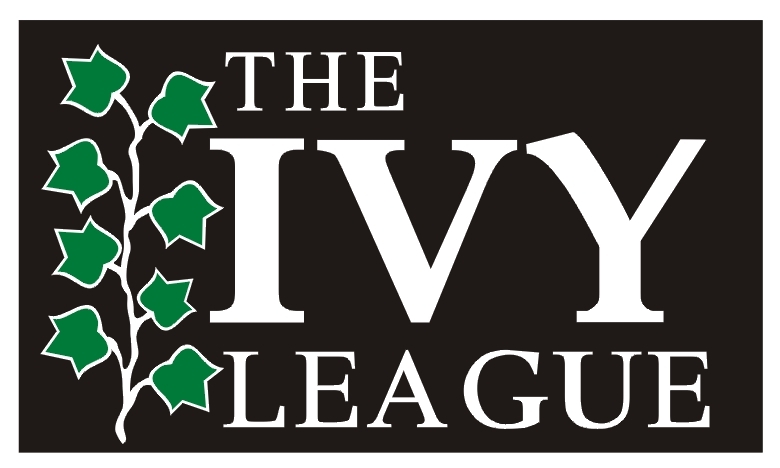 In my previous post, I talked about why I did NOT hate the Ivy League itself. I do hate something called "Ivy worship" which is a mindset that students, parents, and some educators have that Ivy League schools and their clones and wannabes (I define these technical terms in the previous post too) are the only schools worth considering and all the rest are somehow second rate or second tier. Towards the end of the post, I ask what exactly makes up a quality undergraduate experience and I posit that the Ivy League doesn't automatically mean a better undergraduate education. To better define a quality undergraduate education, I turn to the late Ernest Boyer, president of the Carnegie Foundation for the Advancement of Teaching. 1. Does the college do a good job helping students make the transition from high school to college? Does the faculty support the students in their academic (and life) journey? 2. Does the college give priority to developing written and oral communication skills, not just to freshmen but to all students in all fields? Does it support "writing across the curriculum"? 3. Does the college encourage quality undergraduate teaching through evaluations, programs to improve teaching and rewards for good teaching? 4. Does the college encourage students to be active rather than passive learners? 5. Does the campus offer a wide range of activities--lectures, concerts, etc.--to foster a spirit of inquiry outside the classroom? For me, there is also one important question that should be added: did your college experience change your life? In my very biased opinion, some and even many of these qualities can be found be universities and colleges of all shapes and sizes...even the Ivy League! But the colleges that does undergraduate education best was, is, and in my opinion always will be: the small liberal arts college (LAC). For them, teaching undergraduates is what they exist for. The large research universities (and for that matter, the Ivies) exist to generate new knowledge: research and graduate education. The undergraduate is a (barely) tolerated afterthought. In LACs, academic advisers do more than just sign off on your proposed course load every semester, they are there to help you with difficulties you may have with your homework, difficulties you may have navigating the ups and downs of college life and to help you with your career goals. 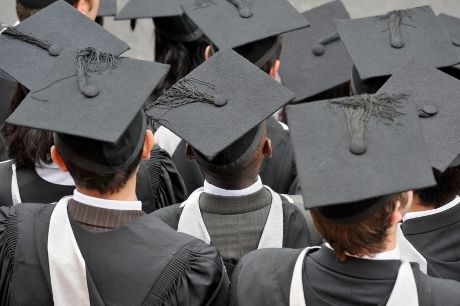 Some stick around to give life advice to students long after graduation. In many LACs, your advisers are your friends who you call by their first names and whose families you've had dinner with. You might even ask them to come to your wedding. Contrast with the situation at the math department at Ohio State where the department advises its student to simply come see an advising video because it can't possibly see and advise all 900 of its majors. In many large colleges and universities, writing is a freshman requirement and once done, the student is no longer to required to write an academic paper for the balance of their four year stay (especially true for math, science, and engineering students). At Reed College, no such luck, all students are required to write an original thesis in their major field of study. At tiny Marlboro College (pop 300 students), every freshman must submit twenty pages of good strong, writing, making or sustaining an argument or idea. Fail, and they'll advise you to move to Harvard, a place with less strenuous writing (and graduation) requirements. At the research universities, undergraduate teaching is often handled by teaching assistants. Teaching assistants are graduate students who are not necessarily teachers and some can barely speak English. Teaching assistants are obviously not hired for their ability to teach but simply because they are graduate students who need the stipends and tuition waivers to make it through the first two years of graduate school. I know this well, I was a teaching assistant when I was in graduate school from 1990 to 1992. In LACs, there are no graduate students and hence, no teaching assistants. The professors do their own teaching. It doesn't mean that all professors are good teachers but at LACs, professors are hired for their ability to teach and do research while at the big universities, professors are hired for their ability to draw research funding. The opportunity to do original guided research or to create an original work should be an intrinsic part of one's education. It's a bit like internships, or on the job training (OJT in Philippine parlance) it keeps our education firmly fixed and it doesn't float away into some ivory tower. Research opportunities tend to get a bit scarce when you have to compete with graduate students. LACs do a remarkable job of involving undergraduates in faculty research, if only because there are no graduate students to help the faculty. Ok but what about the bottom line? After graduation, what about medical, law and business school? It surprises most people that LACs lead the league in graduate and professional school acceptances per capita. Juniata College, in Huntingdon, Pennsylvania, boasts an impressive 94% and 100% admission to medical and law schools respectively. Finally, I think college should change your life. It should open your eyes to new ways of thinking about and seeing the world. A truly excellent college will take a B or even a C student and turn him or her into a first class scholar after four years. 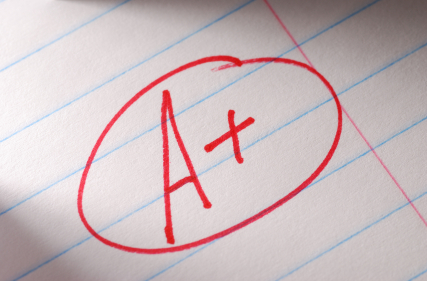 You'll never see this at an Ivy or a clone because they won't even look at anyone with less than an A+ average. You should go to college and after four years have more than a piece of paper to show for it. Don't just show up, do what the college tells you to do, turn the crank and get your diploma. I remember hearing the admissions representative of a small LAC speak at International School last year. He concluded his talk saying, "We educate people, not just for a job, not just for a career, but for the rest of their lives. The credential they get is just something that happens in the end." I think if you can go to college and in the end, be educated to live the rest of your life then the credential will be an afterthought...no matter what school's name is bannered on the credential. Good luck and as always, constructive comments are urgently solicited. 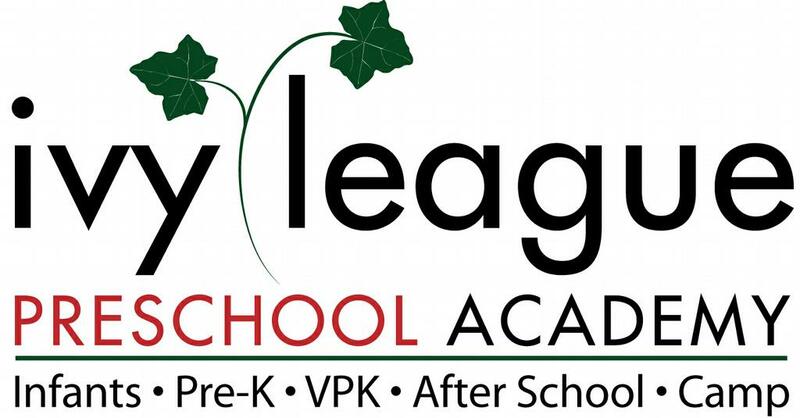 I was recently asked by a reader of this blog, "Why do you hate the Ivy League so much? Did you not get in, is that why you hate it so? Are you just jealous?" So it got me to thinking that I should set the record straight here. First of all, I don't HATE it per se. 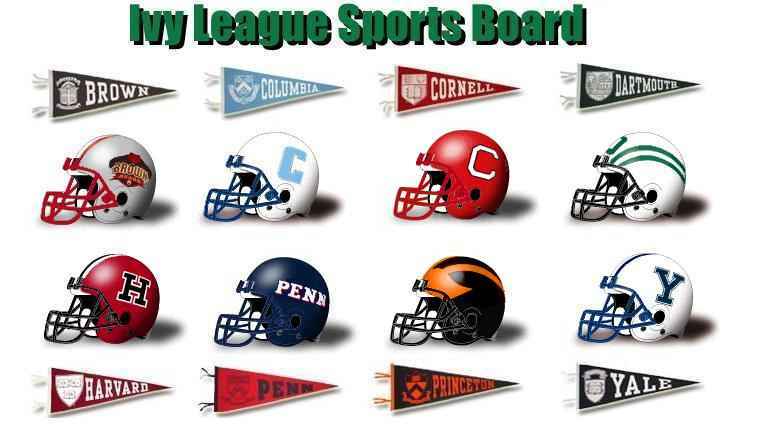 I have nothing against the eight schools that make up this league. The way I hear it they're terrific places to go to graduate and professional school. One thing is true though: I never got into an Ivy. It never occurred to me to even apply. Back about 30 years ago, when I was applying to college, it was important to me at that time that I attend a Jesuit college. 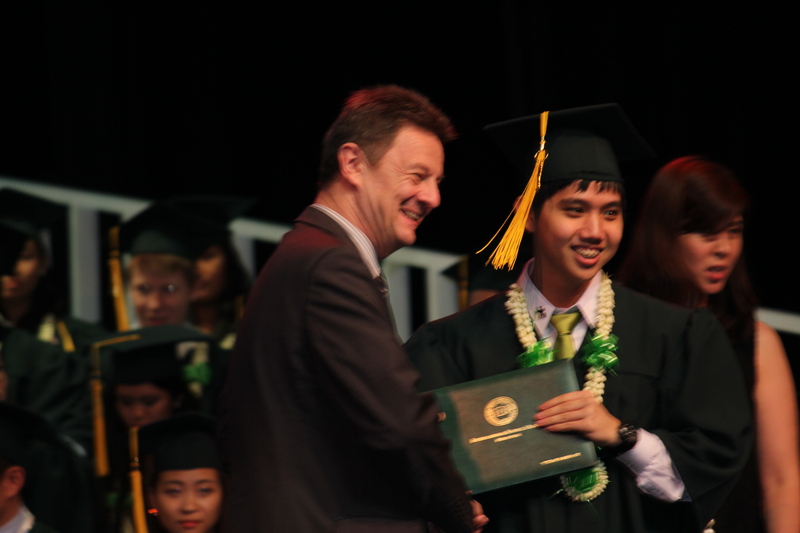 I ended up attending Santa Clara and anybody who knows me in any way knows that my years there were the happiest of my life. Jealous? No. Curious perhaps but not jealous. I hear a lot of parents (and I wish more students) ask me this question. 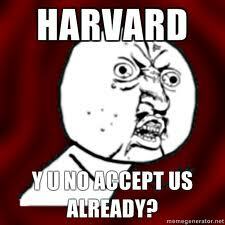 Amidst all the colleges, guidebooks, SATs, etc. 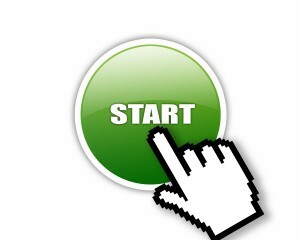 where does one indeed begin the college application journey? This is a great question and the first step, arguably the most important, is often the most neglected. The best place to start is with the student herself. Ask yourselves (parent and student) why am I going all the way to the US (or Canada or the UK) for a college degree? There is an almost knee jerk response to this: because the colleges abroad are "better", they are more prestigious and will help me (or my child) find a job more easily. My response to this: the academic knowledge you pick up abroad is not inherently better than the knowledge you pick up here. By that, I mean: calculus is still calculus regardless of whether you learned it at MIT or at UP. Personally, I think there are tremendous advantages (coupled with disadvantages just as tremendous) to going abroad for college. But the point is this: you must find your OWN reason for going. Maybe it's prestige, maybe it's the exposure to a different culture, maybe it's something else. Whatever it is, it must be your own. This is important because it feeds right into the next step: looking for colleges that best fit you. In previous posts, I commented on the importance of finding the right fit and I'll likely talk about fit again in future posts but for right now, I'd ask you to simply look through those previous posts. Is there a geographic area you have to be in? Does cold weather necessarily limit your search to California, Texas and Florida? Do you prefer a small, intimate liberal arts college of about 1,000 students or less or a mega-university that enrolls more than 30,000? What about sports? What's your learning style? Do you enjoy being challenged academically and forced to stretch your mind or would you rather just coast through four more years of school? All these...and more...work into the concept of fit. You have to find the college that fits you best, not necessarily the most prestigious college that admits you. Using the information you have, you can feed them into any number of college search databases online (www.collegeboard.org, the people who bring you the SAT, has a pretty good database). These databases normally return a lot of colleges, more than a manageable number. Another possibility is to look at this site: http://www.ctcl.org/news/college-search. CTCL (Colleges That Change Lives) is a group of about 40 excellent liberal arts colleges from all over the US whose mission is to have a more student-centered college application process. In my biased (but I think ultimately correct) opinion is that these 40 schools by themselves will make an excellent start in your college search process. It sounds like a lot of work and it is. Which leads us to the next question: when do I begin? My answer is as soon as possible but no sooner than when the student is ready. Freshman or sophomore year is not too early in the game to think about colleges especially with regards to whether or not to take IB in the junior year if you happen to be enrolled in a school that offers that program. It would be really great that if the family were taking a vacation in the US, to take a few days to visit colleges, not necessarily those that you are interested in applying to but just colleges. When in Boston, go see Harvard, it's quite the tourist attraction, just don't rub John Harvard's foot, you don't know where it's been. If in Los Angeles, UCLA and USC are natural choices but don't be afraid to set foot in less well known schools like Occidental College (claim to fame: Barack Obama was a student) or Pomona College. By the junior year, you definitely need to get serious by beginning of second semester. Hopefully, you can spend the next summer doing a college tour (my son and I did this in the summer of 2012, we visited 15 campuses in the US and Canada in the space of 7 weeks). Try to take the SAT at least once by end of junior year. But let's face it: most parents and students don't even think about college until their senior year. While not ideal, it's not necessarily too late. The temptation is there just to dive in and apply to the biggest, fanciest names out there and skip the self-questioning and "best fit" part that I talked about earlier. Don't do that. Do take the time to try to articulate what it is you want out of college. This will help you manage the number of schools you eventually apply to (no more than 10). Remember, well begun is half done! Good luck and let me know if I can help by leaving comments below.